Careers in Computer Science – Why study computer science in USA? Computer Science is one of the most popular and lucrative fields of study among international students is today’s era and is also one of the best-funded and most internationally renowned fields within US academics. Computer science is a stable career field with diverse range of computer or IT job profiles and good starting pay scales being offered. Not solely computer science engineering degrees are in massive numbers but it’s across nearly every industry with job opportunities been steadily increasing. Students looking to pursue degrees in computer science holds a near-guarantee of a profitable future employment. Careers in computer science are numerous and their advantages are magnificent. The graduates of computer science programs often find themselves graduating college with a lucrative and solid job in their discipline already lined up, something which could not be said for a massive number of other disciplines. So, whether it is for the financial benefits or the assurance of employment, computer science is one of the most promising fields of study for international students inside the US. American universities have a good study structure to gain knowledge. There is exceptional prospects for careers in computer science play a key role in drawing students to the field and that is the reason why US universities are enrolling more international students. Computer Science is a trending degree options for universities also as they are high in new innovation, future technology inventions and career revenue market as big companies are mostly involved in information technology projects. Colleges and universities in USA are really dedicated to pass the legacy and training future experts. For more on the Tech Jobs Career Options visit : Computer Science Jobs and Salary in USA. Computer Science Graduate Programs make graduates learn to conduct research, design, innovate and develop solutions to computer hardware and software field problems. Computer Science is a broad academic discipline covering both the theoretical and practical aspects of the field. If you are looking for studying in USA and making your career, then Computer science is one of the best majors. Majority of the international students in USA are studying in Computer and Information Technology Field. The Tech Jobs is USA is very vast and more open to international job seekers. The computer science career prospects have the ever-increasing number of diverse jobs and so the demand of degree in computer science is also increasing. For students just starting with their under graduation or graduation, there are several important considerations to keep in mind when deciding upon a major: available funding, demand for the domain, career opportunities after graduation and future scope. 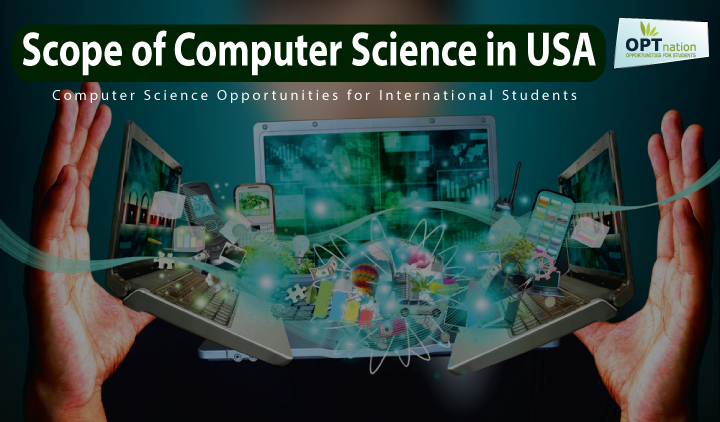 Most of the international students studying in the United States prefer to pursue an undergraduate or graduate degree in computer science as to explore career opportunities in Compute Science. As computer science graduates, international students will have access to hands-on experience in cutting-edge research in one of the best funded academic and industrial sectors in the United States. 3) The specific specialization of the faculty and department to see what type of ongoing research projects are available at the institution. Master of Engineering (ME), which is often designed for professionals simultaneously working in the field or looking for a job opportunity while or after pursuing advanced degrees. It is a one year degree course which includes only course work focused on building skills required for a job on same field and no research work. You can opt for this if you want to progress with the corporate market and not much interested into research work. Master of Science (MS): It’s almost a two year degree course which includes course work including practical and theory but focused on research thesis. This degree is preferred more by international students as it is beneficial for career and also if you are thinking for a PhD. Most international students pursuing graduate degrees in computer science in the United States prefer pursuing MS. The typical length of a 30 credit program is a maximum of six years. MS is offered in many Universities as compared to ME. Students which are looking for a Graduate Degree have to choose from one of the best computer science specializations in their field of study. Due to the rise in computer science careers and job market nearly every, applications for a computer science degree are also increasing. Due to these diverse applications the need for program specialization in certain sub-disciplines within the field of computer science is vital. The range of computer science knowledge and skills is so diverse that if we are going for a graduate programs then the student will be expected to choose a sub-field in which to specialize. Students must take this decision seriously, as it determines which types of computer science career jobs you will be eligible for. Choosing a specialization does not mean that you are formally restricted rather it provides you the scope of preference for that field of job market. Students hoping to use their computer science master’s degree to work in a specific field should choose their specialization accordingly like for example student willing to work in medical field should attend a graduate program that is esteemed or specializes in the relevant sub-fields like bioinformatics. Above are some of the most commonly opted specializations, but there are many more options available for computer science students. The number of highly-deemed computer science colleges or universities provides significant opportunities and benefits for international students trying to create the most of their educational experiences. Most of the best computer science colleges or universities are located in the United States. Not only are degrees from US universities are esteemed by employers all over the globe; students will also have the opportunity to receive the benefits of learning in an advanced sector of one of the world’s most robust economies. These advantages embrace increased funding, high job placement rates, and getting trained under specialized expertise. We’ve compiled a list of US states and cities which have more career opportunities for Computer Science or Tech jobs as for international students also. 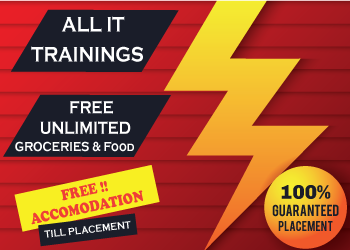 Because job counts are so variable from month to month, even week to week, we created a list in an approximate order so that you get an idea of facts. Computers and modern technology frenzy started and have a huge build up largely in the United States. Many big hiring techs or multinational companies are in the Information Technology Sector providing a big contribution to an increase in job search or jobs availability. Many big international firms like Apple, Infosys, Accenture, Amazon and many more are hiring international students every year and building a career chance for computer science graduate. Whether you’d like to create all kinds of websites, functional software, useful apps, fun video games, perform security to protect the integrity of online information or just explore knowledge in IT field, enroll to an undergraduate or graduate degree in computer science at a college or university, and join the challenging world of technology.